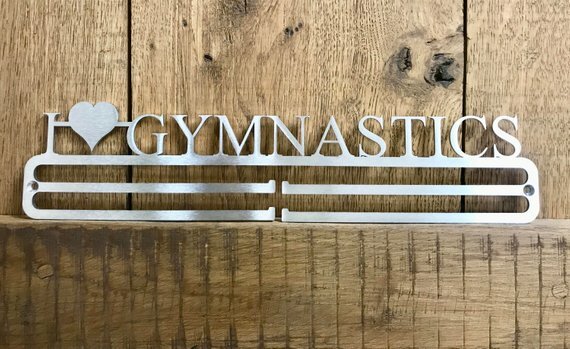 Brushed Stainless Steel Gymnast Medal Hanger. Holds approx. 20 medals (dependent on ribbon size). Comes with fixtures and fittings (screws, rawplug and wall spacer). Dimensions approx: H100mm x W320mm x D3mm.